Give today to make a difference by offering a Hand Up, not a Handout. 16.2 million children living in America, live in households that lack the means to get enough nutritious food on a regular basis. Over 12 million adults over the age of 65 live at home alone and 12 percent of those seniors report that they DO NOT have enough resources to meet their basic expenses. 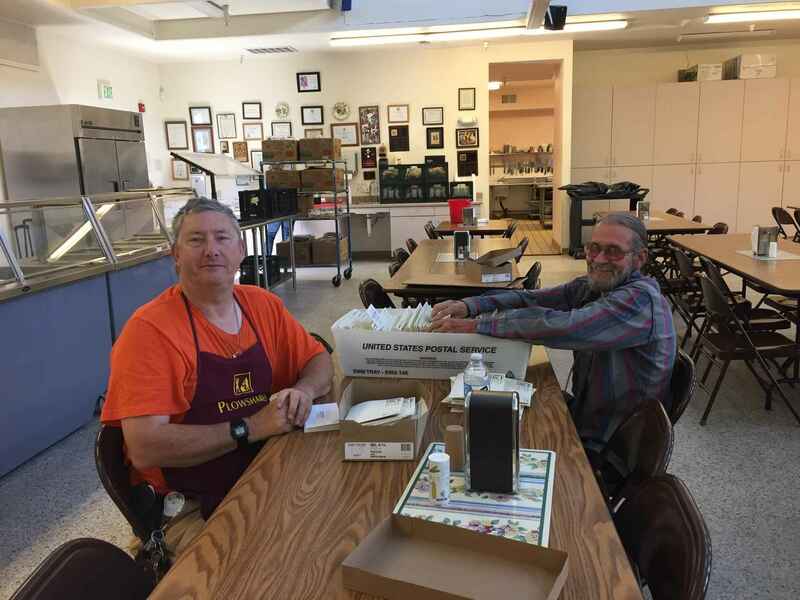 Plowshares community dining hall and Meals on Wheels program provides a daily nutritious meal and connections to the resources that individuals need to really thrive. With your help, in 2017, Plowshares provided over 69,000 meals to those in need in our community. In memory of Dorothy Schwabe from her four nieces Jennifer Starkovich, Ann Starkie, Mary Zaslove and Susan Reynolds. In loving memory of Dorothy Schwabe. With Love from Cristián and Kerry Enríquez.